Come join us in learning about the Chakra system, your energy body and how it can be used to help heal. This fun and balanced Vinyasa style yoga class infuses information about each of the seven main energy centers or (Chakras) and explains which psychological emotions, organs and glands are governed by that Chakra. 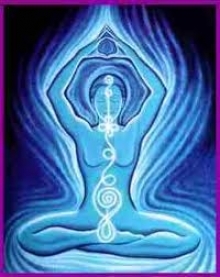 You will learn yoga poses, affirmations, visualizations and breath work that will help clear each energy center. the many physical benefits of a regular yoga practice.